"I first heard this next record when it was on a compilation called 'God Less America,' and that's about all I know about it. Here's Harry Johnson with a song about a bar fight, 'It's Nothing To Me.'" Than to sit down by her on that stool. I guess you're right... it's nothing to me. That he's sure a quick-tempered, jealous man. Now you see what you made him do? And tomorrow someone will bury you. Or it was... it's nothing to me. "That was Harry Johnson, 'Ain't Nothing to Me.' Always enjoy a song with a story attached. It's like getting a two-for-one. And he makes a good point. Mind your own business! You don't have to get involved! You don't know the whole story! Before you go jumping in, take a moment, look at the situation. Ask yourself, 'Will I really be making this better?' I guarantee ya, nine times out of ten, the answer is, 'Nooooooo!'" 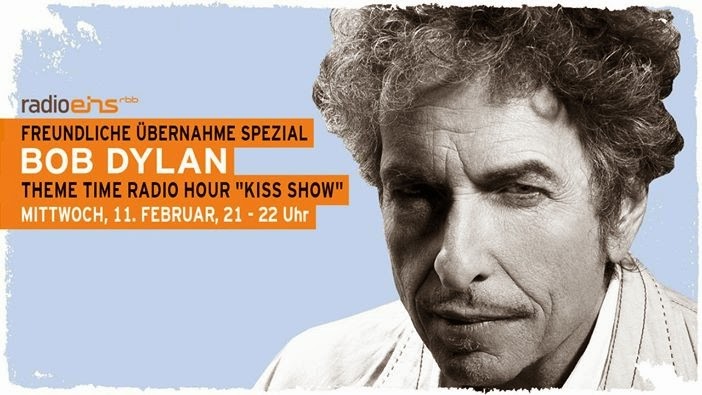 ~ Bob Dylan, Theme Time Radio Hour, "Nothing"
Although bobbling the title in his outro, perhaps momentarily confusing the song with The Coasters' version, "T'Ain't Nothing To Me" (more on that later), Our Host was right that there's nothing about "Harry Johnson" to be found. And that's because there was no "Harry Johnson," even though that's the name of the artist listed on the "God Less America" compilation. "It's Nothing To Me" is actually being performed by Sanford Clark, a rockabilly guitarist and protégé of Lee Hazlewood probably best known for his 19 and 56 hit "The Fool." Perhaps Mr. D. was himself fooled by the "Harry Johnson" moniker, but it's more likely not, as he had played "The Fool" by Clark way back in Season 1 during the "Fools" episode, remarking at the time, "I always thought it was one of the best Elvis Presley records that Elvis never made." 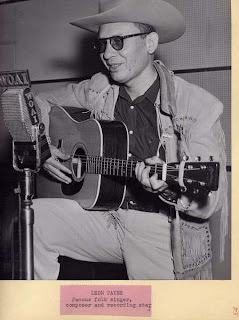 While Clark was in country mode for "It's Nothing To Me" and doing pure rockabilly for "The Fool," his voice is distinctive enough that it's hard to miss the connection... although to tell you the truth, I did miss it until it was pointed out to me. Sanford Clark was born in Tulsa, Oklahoma in 19 and 35 but grew up in Phoenix, Arizona, which he'd claim as his hometown. Guitarist Al Casey, who gigged with Clark at various Phoenix clubs and would later back him on most of his albums, turned then-disc jockey Hazlewood on to Sanford Clark. Lee Hazlewood was looking for someone with a distinctive voice to record a song he had just written, "The Fool," and Clark fit the bill. Casey and Clark went into the studio, recorded the song, and it was originally released in May of 19 and 56 on the tiny local M.C.I. label. "The Fool" was credited to a "Naomi Ford," Lee Hazlewood's wife, probably because radio deejay Hazlewood was worried about someone pointing out that his playing a song that he had also written and produced stunk a bit of payola. As it turned out that wasn't a concern, as the 500-copy M.C.I. release of "The Fool" sank without a trace, and Sanford Clark started delivering soda pop in the Phoenix area to keep body and soul together. Luckily, a Cleveland disc jockey thought the song deserved a second chance if it could get some decent distribution, and passed it on to Dot Records. Dot called M.C.I. in Phoenix and cut a deal with Hazlewood. Sanford Clark signed with the Dot label, which re-released "The Fool." By August 19 and 56 the song had hit Number 7 on Billboard's pop charts and sold more than 800.000 copies, proving once again that we all deserve a second chance. Sanford Clark wouldn't release "It's Nothing To Me" until 19 and 67 when he signed with Ramco Records after an uneven career and not much luck in the music business past "The Fool." Clark cut the song as part of a session that produced 12 singles, including a remake of his hit from a decade earlier. "It's Nothing To Me" was released as the A-side of Ramco-1987, backed with "Calling All Hearts." As with most of the singles Clark produced in his career, "It's Nothing To Me" didn't do much of anything. Although always keeping one foot in the music business, by the 1970s Clark was making his living in construction and as a blackjack gambler. Sanford Clark is now retired and living in Mayer, Arizona. "It's Nothing To Me" has more of a Theme Time Radio Hour connection than just Sanford Clark. The song was written by one "Pat Patterson," a pen name of Leon Payne's, author of the very weird "Psycho," which Mr. D. mentioned in an aside during the "Luck" episode of TTRH, "... a song about a serial killer [that] never got a lot of airplay, but has become quite a bit of a cult favorite." Leon Payne was a blind songwriter and singer based in San Antonio, Texas. Among country music fans, Payne is probably best remembered for the classic, "Lost Highway," recorded by Hank Williams Sr. as well as "I Love You Because," "You've Still Got A Place In My Heart," and "They'll Never Take Her Love From Me." Payne wrote hundreds of songs during his career, and apparently - like all good country music writers - had something of a soft spot for murderers, at least in song. He probably wrote "It's Nothing To Me" sometime around 19 and 56. A year later it was published by Lee Hazlewood's Gregmark Music and first recorded by yet another member of Hazlewood's Phoenix music mafia, Loy Clingman, on the Liberty Bell/Dot labels in February, 1957. If an artist recorded "It's Nothing To Me" between the late `50s through the late `60s, you can pretty much bet that artist had some connection to Lee Hazlewood, a music impresario best-known for his work with Duane Eddy during the fifties and Nancy Sinatra in the sixties. After his first hit with Sanford Clark's "The Fool," Hazlewood would go on to produce, write, or co-author "The Theme from Peter Gunn", "These Boots Are Made for Walkin'" and " "Sugar Town." Hazlewood also wrote "Houston", a near-breakthrough single for Sanford Clark, until his version was overshadowed by Dean Martin's monster hit in 19 and 65. 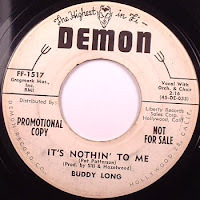 "It's Nothing To Me" would be covered by Hazlewood acquaintance Buddy Long on the Demon label in 19 and 59, and more successfully by The Coasters in 19 and 64, who would use their comic version of the song, "T'Ain't Nothing To Me," to reclaim a slot on the pop charts after a string of unsuccessful releases. Recorded live at the Apollo Theater in 1963, and featuring a clowning interchange between two of The Coasters, "T'Ain't Nothing To Me" would be #64 in the Hot Hundred in April `64, and climb to #20 in the R&B charts over a 10-week period. The Coasters were managed at the time by Lester Sills, Lee Hazlewood's partner and co-founder of Gregmark Publishing. Let's see: Sanford Clark, Nancy Sinatra, The Coasters, Leon Payne... all played or mentioned on Theme Time Radio Hour. All these things tie together, as Mr. D. would say. As well as Sanford Clark's/Harry Johnson's release in 19 and 67, "It's Nothing To Me" - sometimes under its alternate title of "Ain't Nothing To Me" - has also been covered by Jim Reeves, The Sadies, Harlan Howard, and Johnny Winter among others. It remains a staple of honky-tonks, bar, and saloons. In an elegiac coda, Lee Hazlewood would record "It's Nothing to Me" for his final album, Cake or Death, released in 2006. Hazlewood would pass away a year later. Here's "It's Nothing to Me" as performed by Lee Hazlewood. There is more than one mystery surrounding "It's Nothing To Me." We know nothing about how Leon Payne came to write it, although like most of Payne's story songs, I suspect there's a great story behind it. According to Payne's daughter, Myrtie, he wrote "Lost Highway" when he was desperate to get back to his family after a long road trip. "Psycho" came about from the movie of the same name. Payne and his wife were both big movie fans, although with both being blind, Myrtie had to describe to them what was going on on-screen. According to Myrtie, Payne called Johnny Cash after returning home, described the "Psycho" experience to him, and sat down and wrote the serial killer song minutes after getting off the phone. I wish we had a similar story about "It's Nothing To Me." And why is "It's Nothing To Me" credited to Harry Johnson on "God Less America" rather than to Sanford Clark? That mystery is probably easy to explain. The L.P./CD, released in the mid-90,s bordered on the semi-bootleg, compiling material both in and out of copyright, but studiously avoiding paying royalties on anything. As well as "Harry Johnson" "God Less America" also tags at least one other artist with a pseudonym to avoid eagle-eyed legal beagles. "Drunken Driver," a lubrigious a tune as the title implies, is credited to a "Grandpa Joe," although it is actually a 19 and 54 Ferlin Husky recording. Finally we come to the mystery of the gunshots. While those were apparently included in Clark's original 19 and 67 release, I have two separate reports from people who own "Shades," a CD compilation of Clark's work, that the gunshots aren't on the version of "It's Nothing To Me" in that collection. Maybe the Bear label, which released "Shades," used the master of "It's Nothing To Me," before the gunshots were dubbed in. Maybe there were two different versions of the song. Sources and Additional Reading/Listening: A visitor with the handle of "flotser," made exactly one post to the TTRH forum at ER, noting that "Harry Johnson" was in fact Sanford Clark - referring to him with the British spelling of "Clarke" - and then disappearing back into the aether, never to be heard from again. "flotser" and regular ER (and sometime Dreamtime) contributor "The Great Wandu" both state that the version of "It's Nothing To Me" on the Sanford Clark compilation put together by the Bear Family label, "Shades" does not include the gunshots that can be heard before the last stanza of the song included on "God Less America." In fact, "The Great Wandu" goes further, and says that the 1967 Ramco release is also without the gunshot overdub. I'm not sure this last is correct, but having neither heard the 45 or the "Shades" compilation, I'll take the claim at face value until presented with better evidence. That leaves another mystery, of course, about how and when the gunshots came to be dubbed in, but as I said in the main article... we may never know. Mystery of the missing gunshots aside, one thing I am certain of is that "Harry Johnson" is Sanford Clark. While I was unable to find the full track, various places on the Web have an excerpt of Clark's "It's Nothing To Me," including the Amazon page for the "Shades" compilation. You can follow the link above if you want to satisfy yourself on the subject. "God Less America," has had an appropriately unusual history, originally released on vinyl either in 1995 or 1997 on Crypt Records by compiler Tim Warren, who a reviewer noted has "...been churning out amazing compilations under a variety of label names to avoid close, copyright-wielding eyes -- 'Sin Alley', 'Down And Out, and 'Loo-key Doo-key.'" The bootlegger may have been himself bootlegged, as a CD version was released in 2001, but its unclear whether it was officially under the Crypt label, or someone else just using the label name. In any case, used copies of the CD can be found at Amazon, U.S. or Amazon U.K. at somewhat ridiculous prices. The tracks also sometimes float around the Web either together or separately. The L.P. occasionally appears on eBay, in fact one is being offered for sale right now through the 30th. You should be forewarned that unless you're an aficionado of rare - and weird - country-western music, you may find "God Less America" somewhat disappointing. Personally, I like it, and have churned out several Dreamtime articles thanks to that compilation. But caveat emptor. The great honky-tonker Leon Payne doesn't get the attention he deserves, little-remembered today except for "Lost Highway" and the novelty number "Psycho." However, there is one CD compilation available of Payne's Capitol Record singles, put out - naturally - by the Bear Family label under the title, "I Love You Because." Another compilation has a Theme Time connection, "George Jones Sings The Great Songs of Leon Payne." Both sets are highly recommended, as is anything associated with Leon Payne. 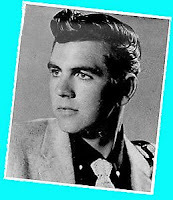 For a taste of Payne's music, check out his MySpace page, maintained by his daughter, Myrtie. Most of the information about Lee Hazlewood and his connection to the various artists and versions of "It's Nothing To Me" was taken from "The Lee Hazlewood Story." I also used Hazlewood's Wikipedia entry for background. Additional information on Sanford Clark came from a Rockabilly Hall of Fame article and Clark's MySpace page. I've emailed Clark several times to see if I could get more information on his recording of "It's Nothing To Me" - especially about those damn gunshots - but have never received a response. Unfortunately, Clark is apparently in poor health these days. We wish him the best. The Coasters' comic turn on the song, "T'Ain't Nothing To Me" can be found on the CD compilation "Apollo Saturday Night" or as a standalone mp3 at Amazon. The song aside, "Apollo Saturday Night" is recommended for those wanting a feel at what a night at that historic theater in the early `60s was like. Wow Fred, my hat's off to you!!! This is a great post! This one will be a highlight in your book. Speaking of not knowing anything about an artist played on one of the shows, in the Dance show I love that song The Girl Can't Dance by Bunker Hill. I had to look it up because Mr. D doesn't even say the song title or the artist. Did you know that Link Wray's band was backing him up on that song? Well, there's a turn-up. I have to confess, I didn't get to the Nothing episode yet, and reading over the lyrics at the top of the post, I was thinking, you could sing these to the tune of Psycho, and the deadpan morbidity has a kind of family resemblance, also. No surprise that it turns out to be written by Mr Payne, then. I have the RAMCO 45 - there are definitely gunshots on it. I would bet you're right in your speculation that Bear Family used an earlier master for the CD compilation. For sure the compiler of God Less America was working strictly with 45s and other needle-drop sourcings.